PUMPKINHEAD IS NOT THE BAD GUY!!! Pumpkinhead is a demon of vengeance. He is summoned into this world to enact bloody revenge for a terrible wrong, usually murder. Once summoned he immediately goes after the individual or group that is the focus of the summoner’s revenge and will not stop until its gruesome task is completed. Pumpkinhead is just doing the task that he is appointed for; it’s his job, his duty, his sole purpose for existing. He has no free will of his own; he just goes after whomever he’s told to. He has no choice in the matter, but then again by the cruel smirk he wears and the long drawn out death of his victims it definitely looks like he enjoys his work. But that’s another good thing, he has job satisfaction! Can’t hate a guy for that; How many of you people wish you had a job that you enjoyed. He’s a vengeance demon, might as well get into the roll & enjoy yourself. 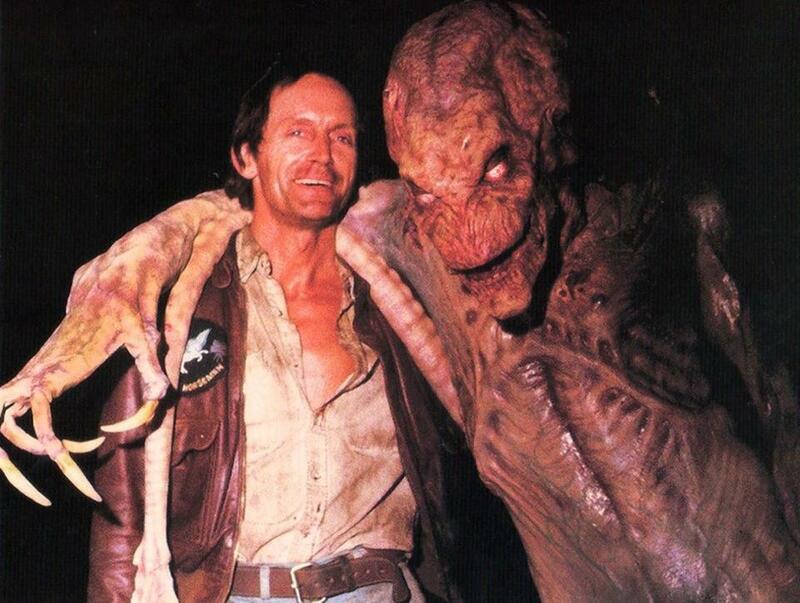 Ok just stick with me on this: In the original 1988 film (as there are sequels), Pumpkinhead was conjured by a man named Edward “Ed” Harley (played by the awesome Lance Henriksen), who desired vengeance after his young son was accidentally killed by a motorcycle ridden by a teenager named Joel. How one summons Pumpkinhead is you go to your handy local witch; She will tell you to dig up a disfigured body from the graveyard, the grave has pumpkins growing out of it, you can’t miss it. The witch takes blood from the summoner (Mr Harley) and BOOM, instant vengeance demon. However there is a price; The summoner experiences the death of each victim first hand through the creatures eyes, he sees the pain & horror he has unleashed. Also Pumpkinhead seems to feel any pain the summoner feels also. That’s because the two become one, Ed Harley is Pumpkinhead, Pumpkinhead is Ed Harley. 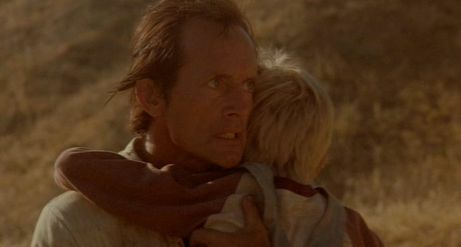 So using that logic, if the two individuals are linked and are now one, which also means Pumpkinhead lost his son too! Now I have never experienced the loss of a child, but I can imagine it’s the worst thing a parent can ever go through. Now take all that pain & rage, give it super strength & razor-sharp claws, that’s Pumpkinhead. 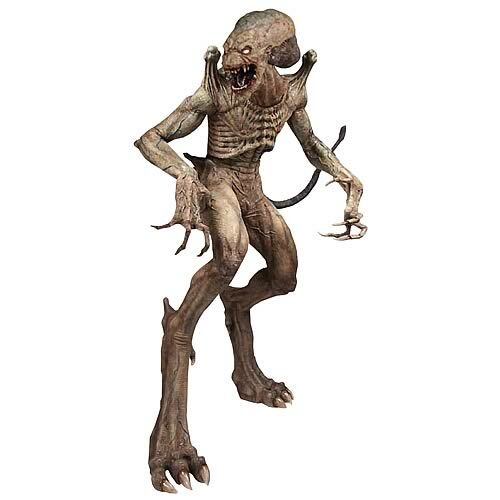 As mentioned just now Pumpkinhead feels the pain of its summoner, they are one and the same. The only way to stop the demon is to kill the summoner. It’s the final encounter of the film, Pumpkinhead’s job nearly done, vengeance is nearly complete! Ed Harley shows up & shoots himself in the head, critically injuring the demon. They both fall to the ground. Ed begs the surviving teenagers to finish him off, which they do, with a lot of bullets. By proxy, as the summoner & Pumpkinhead are one, Pumpkinhead committed suicide. Against his will I may point out. Poor, poor Pumpkinhead. He only wanted to do his job. So what I’m trying to say after all this I think is: Don’t judge a book by its cover. Also don’t summon an infernal creature to exact revenge for you unless you’re sure you know what you’re getting into…and read the fine print. Reblogged this on The Housebroken Geek.